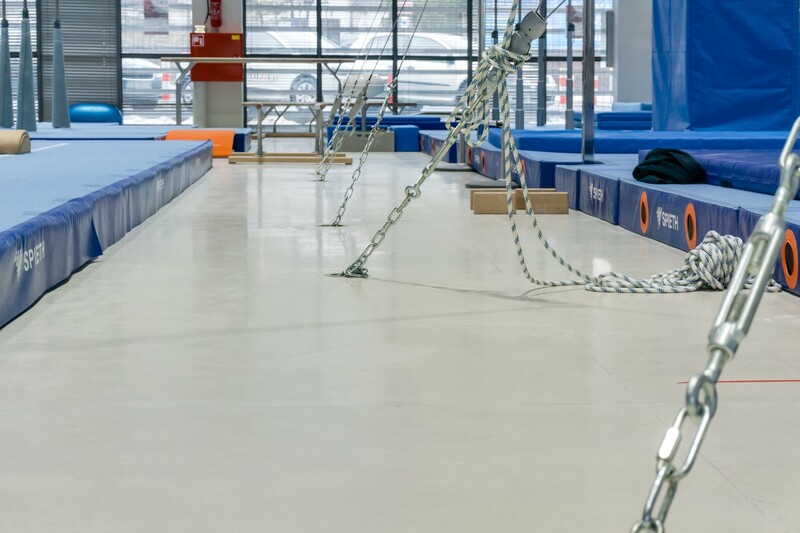 Approximately 2,100 m2 of specialist resin systems from Flowcrete have been installed at The Leszek Blanik Gym Hall Innovation and Implementation Centre at the Gdansk University of Physical Education and Sport in Poland. The work ensured that the floors throughout the site would provide its users with high performance, long lasting surfaces. In the main gym hall, a seamless Flowshield LXP resin floor in a light grey colour with a blend of blue additives was applied. Flowshield LXP is a smooth and flexible floor which is made using coloured polyurethane resin. 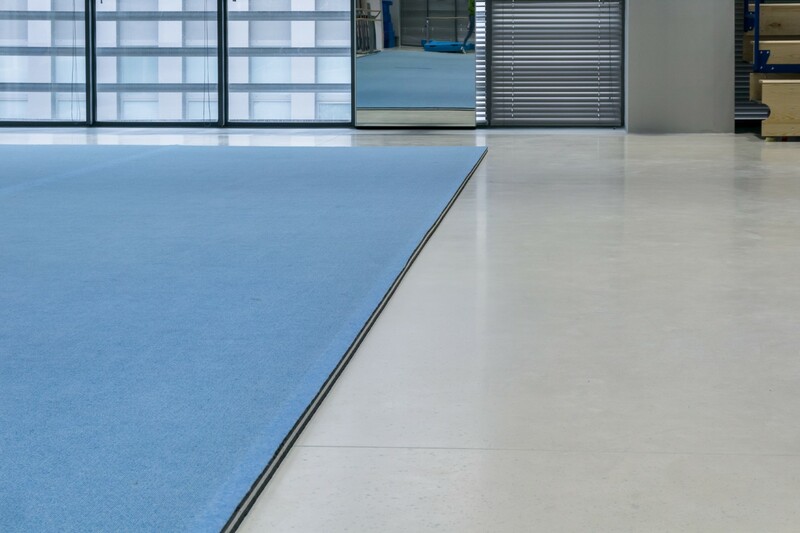 The high abrasion resistance of this system makes it perfect for areas where the floor will be subjected to daily impacts, scuffs, scrapes and wear. Flowshield LXP maintains a high standard of hygiene, which is important in locations where intensive physical training takes place. 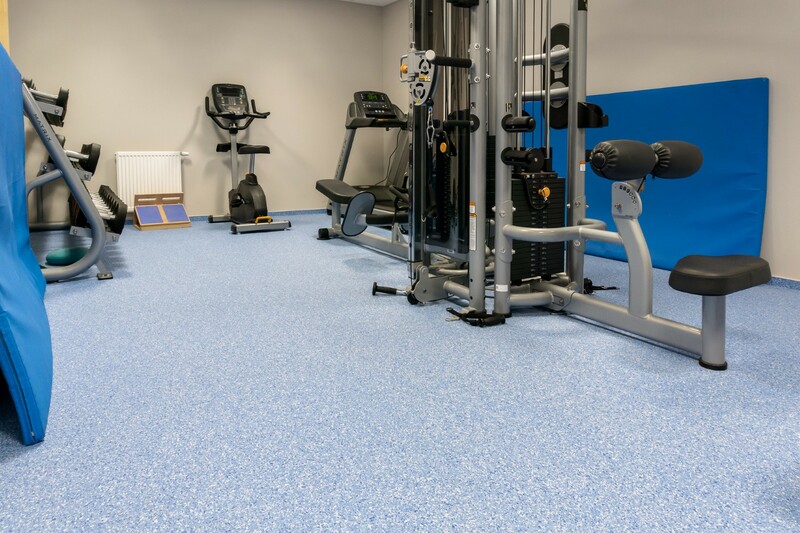 In addition to the main gym hall, resin floors were also utilised in smaller rooms throughout the facility, including an area designed for strength training.